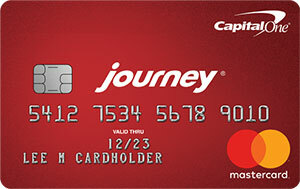 Journey® Student Rewards from Capital One® is a popular student credit card with no annual fee, a solid cash back program that rewards general spending, and relatively loose credit standards that make it a plausible first credit card choice. It shares the limelight with several other popular student cards. Its chief competitors include Discover it for Students, Discover it Chrome for Students, and Citi ThankYou Preferred for College Students. It’s also comparable to certain secured credit cards that appeal to students who wish to build or improve their credit. The Capital One Journey Student Card earns an unlimited 1% cash back on all purchases. If your account is not past due on the last day of the billing cycle, you receive a bonus equal to 0.25% of the cash back you earned during the cycle, for a total cash back rate of 1.25%. There’s no limit to the amount of cash back you can earn, and rewards don’t expire. You can redeem your accumulated cash back in any amount, at any time, for a statement credit or paper check. You can also set up automatic redemptions, either at a set time each calendar year, or when you cross a specified threshold: $25, $50, $100, or $200. Capital One automatically considers you for a credit line increase if you make your first 5 payments in a timely manner. Your credit line may continue to increase with further timely payments, though Capital One makes no guarantees on this point. This card does not have an annual fee, foreign transaction fee, or balance transfer fee. The late payment fee is $35, and the cash advance fee is the greater of $10 or 3% of the advanced amount. Each month, you get a free credit score with your paper or online statement, thanks to the Capital One CreditWise suite. You’re also able to check your score on demand in your online account dashboard. Additionally, Capital One CreditWise includes a host of credit-building tools and educational content for free. This card comes with some practical fringe benefits, including 24/7 emergency card replacement for travelers and complimentary rental car insurance when you charge the full cost of the rental to your card. This card is for students with average, fair, or even limited credit. 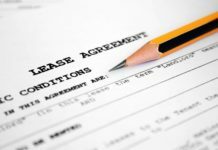 A few credit blemishes likely won’t disqualify your application, though serious issues (such as recent bankruptcy) probably will. No Annual Fee. The Journey Student Credit Card doesn’t have an annual fee. That’s a nice benefit relative to the Citi Secured Mastercard, which carries a $25 annual fee. When you’re on a student budget, the last thing you need to worry about is an annual tax on your credit card. Good Cash Back Rewards Program. The Journey Student Credit Card earns a flat 1% cash back on all purchases. That’s a good rate in the student credit card realm, which isn’t known for generous rewards programs. Opportunity to Increase Your Credit Line After 5 Months. If you make consistent, timely payments on your account, you’ll automatically be considered for a credit line increase in as little as 5 months. Many student credit cards make no guarantees about when cardholders are to be considered for credit line increases, and the fact that you’re automatically considered eliminates the hassle of calling up and formally requesting an increase. On-Time Payment Bonus. The Journey Student Credit Card further rewards timely payment patterns with an on-time payment bonus equivalent to 0.25% of all cash back earned during the payment period. This boosts the card’s effective cash back rate to 1.25%, which is higher than most student credit cards’ baseline cash back rates. No Foreign Transaction or Balance Transfer Fees. This card doesn’t have balance transfer or foreign transaction fees. If you plan to spend a semester abroad or transfer a high-interest balance from another student credit card, this dual perk definitely reduces the cost of doing so. No Penalty APR. The Journey Student Credit Card doesn’t have a penalty APR. That’s great news for students who occasionally miss payments during school breaks or at end-of-semester crunches. Flexible Rewards Redemption. You can redeem your cash back rewards at any time and in any amount. If you don’t use your card that often, it can take months to reach other cards’ minimum redemption thresholds. Citi ThankYou Preferred for College Students typically requires at least 1,000 ThankYou points (up to $10 value) to redeem. No Sign-up Bonus. The Journey Student Card lacks a sign-up bonus. That’s bad news for students who want to juice their cash back rewards from the get-go. No Introductory APR Offers. Capital One doesn’t offer an introductory APR on this card. Discover it for Students and Discover it Chrome for Students both have a 6-month 0% intro purchase APR, while Citi ThankYou Preferred for College Students comes with a 7-month 0% purchase APR. No Good Grades Discount or Bonus. Unlike some competitors, Capital One doesn’t reward you for good scholarship. The Discover student cards both offer annual good grade bonuses of $20 to students who maintain GPAs of 3.0 or higher. Rewards Rate Capped at 1.25%. This card’s rewards rate is capped at 1.25%, even with the on-time payment bonus. Although that’s a higher baseline than most other student cards, it’s lower than what’s achievable with tiered spending category cards such as Discover it Chrome for Students (2% cash back on gas station and restaurant purchases, up to $1,000 per quarter) and Upromise MasterCard (2% cash back with department stores and movie theaters, and up to 5% cash back with select online retailers). Rewards Can’t Be Redeemed for Merchandise. Journey’s cash back rewards can’t be directly redeemed for merchandise purchases. That’s a big drawback relative to the Upromise MasterCard and Citi ThankYou Preferred Card for College Students, both of which have extensive e-commerce portals. Journey® Student Rewards from Capital One® doesn’t have the most generous cash back rewards program, lowest APR, or juiciest benefit lineup. But, for students just starting out on the path to financial fitness, it can be an incredibly powerful spending aid. Every timely payment made with this card demonstrates to Capital One and future credit card issuers that you’re capable of managing credit responsibly. In just 5 months, your diligence and self-restraint could pay off with a higher credit line. Over a longer period of time, you’ll prove to risk-averse lenders that you’re a good candidate for higher-end cards with more generous rewards and favorable terms. And, by then, you likely won’t be eking by on a student budget. Journey® Student Rewards from Capital One® appeals to students who like low fees and flexible cash back rewards on general spending. It’s not ideal for students who want rewards they can redeem for merchandise or travel, nor for students with very poor credit. Minimal fees, cash back rewards program, and on-time payment bonus are all nice perks. Lack of a sign-up bonus and introductory APR, flat-rate rewards capped at 1.25%, and no benefits for good grades are drawbacks. Overall, this is a great student credit card to get started.